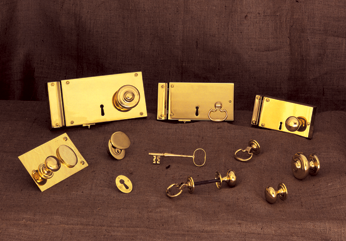 Greenwich Metal Finishing offers the most complete metal hardware restoration and metal polishing services to homeowners, design professionals, and the contracting industry. We pay acute attention to the details. With our team of skilled craftsmen, Greenwich Metal Finishing can restore virtually any item in any condition. Plus, because all work is done on-premise, we can provide prompt turnaround. Greenwich Metal Finishing uses state-of-the-art techniques along with the highest-quality lacquers and epoxies to ensure durability. For examples of hardware restorations and before-and-after photos, please view our portfolio.